Do Anglers Have Short Rods? 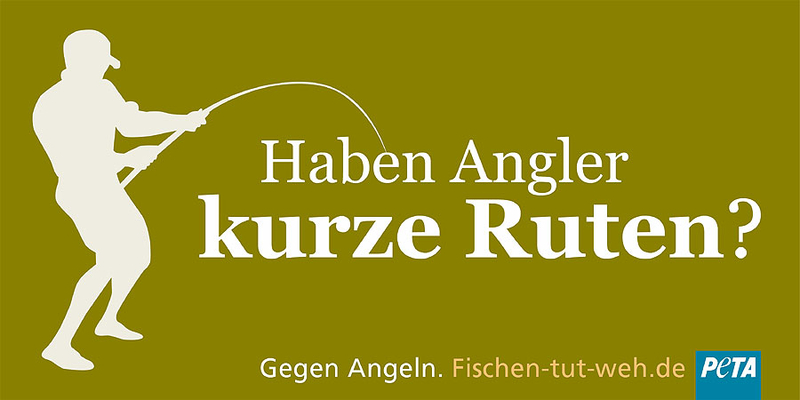 “Do anglers have short rods?” That is the question asked by PETA in a recent (2010) German campaign. The quesion obviously implies that anglers are compensating for an anatomical shortcoming. Beel thinks the angler’s rod is of appropiate dimensions. The version of this graphic used in the UK and USA asks, “Are you compensating for something?” It makes the same point, but Beel prefers the less subtle German version. 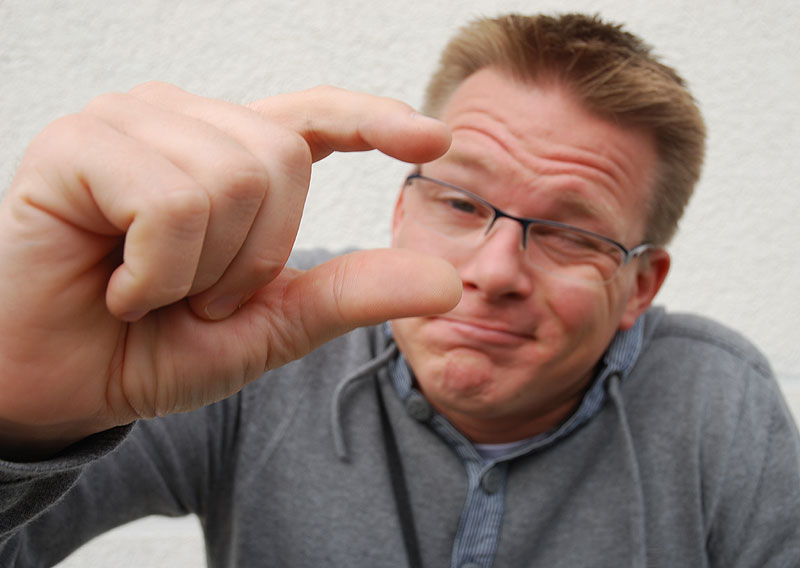 In the photograph below and to right, a PETA spokesperson gives some insight into his measure of the angler’s rod. You can read his comments here (in German), but Beel thinks the photograph clearly articulates the message. Beel is amused. This is much more fun than Gill the Fish, who showed up at fishing events in the United States. Many members of the fishery community were taken by surprise by the growing opposition to angling in Germany over the past 10-15 years. However, this might have been anticipated if trends in German literature had been consulted. Beel has used the Google ngram Viewer to search for the word “tierschutz” (= animal rights) in German books published during 1900-2000. Let Beel present the results: there is a lot of wobble in the first half of the century; however, since the late 1970s, there has been an exponential increase in the relative frequency of tierschutz in these books. Beel assumes the increasing prevalence of tierschutz in German books is indicative of a growing interest in the topic. This entry was posted on January 19, 2012 by denstormer in Fishing and angling, Google Stuff and tagged Europe, Google ngram Viewer. Is Angela Merkel a Red Herring?